Packaged in a bundle of 20, this Short Magnum is a very special cigar indeed. It’s a medium body that uses aged fillers to make it silky smooth. Its wrapper is a rare San Andres Morron Maduro leaf, making it dark and oily with a rich cocoa and dark chocolate taste. This is a fantastic everyday sort of cigar, tasty and pretty smooth. At these prices, there's no reason not to give this brand a try. I received 2 of these in a sample great chocolate flavor and very pleasing aroma when lit I just order my first batch can't wait to get them in my humidor and start enjoying these shorties. To be fair I enjoyed one of these cigars as a gentle spring rain came down, sitting on my front porch. 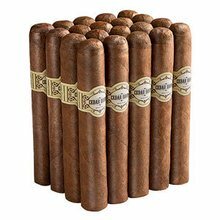 Their is no question these cigars have some age to them, in a good way. It's not a complex stick but is a nice daily smoke. The prince point is reasonable and affordable to the budget minded. It has a nice cedar and pepper taste that's not to mild but not in the full category. Being that each persons palate is different some would differ with my findings. If your looking for a quick smoke that won't hurt your wallet this is a good choice. 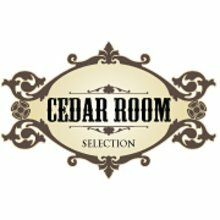 Wonderful aroma, taste and draw-Cedar Room you rock! I like Cedar Room cigars, but this Morron thing is a disappointment. The construction is good, the overall look is good. It draws well and burns even. Yet it lacks flavor. Where is the cocoa and dark chocolate flavor? It’s not bad, yet it’s not good. It’s just plain and dull. Great cigar! Easily comparable to a NUB! Like smoking s newspaper! Smokes hot and fast like cheap cigar. Don't let the price fool you like it did me.